People have been lending each other money for thousands of years, as it represents a sure-fire way of putting your capital at work, in exchange for profit in the form of interest rates. It is believed that formal lending dates back to Ancient Rome, when banking services were provided by either private individuals or pawnbrokers, who would secure their lending by keeping items as collateral. With time, the market has evolved to the appearance of banks, which made credits mainstream. Shortly after, online lending solutions appeared. Today, we are at the beginning of a new era, as cryptocurrency-based online lending is becoming a popular choice for crypto fans throughout the world. Lending cryptocurrencies differs slightly based on the website that you are using, yet the base idea is generally the same. As a lender, you will have to make your cryptocurrency holdings available to loan at a certain rate, on either an exchange or lending platform. Most often, crypto-based lending can be made for two purposes: personal use cases, and margin lending. For the latter, once your funds are made available, a borrower who believes that a price increase in imminent for a particular coin, will request to lend some of your funds from the exchange. Fast forward two (or more) days, the borrower will return the cryptocurrency alongside the interest rate. As crypto lending is often used for margin trading purposes, there is a fear prevalent across the market pertaining to whether there are any risks involved. Well, most lending platforms have several safeguards put into place, in order to avoid losing money from wrong trading calls. For instance, the borrower is generally required to hold and maintain a percentage of the collateral, which can then be returned to the lender in case prices drop. Additionally, certain exchanges offer users the possibility to lend directly to the exchange, rather than a trader. Similarly, there are numerous safeguards put into place here as well, to ensure that funds remain safe in spite of wrong trading calls. Because of this, the general consensus is that cryptocurrency lending for margin trading purposes is quite safe. It isn’t risk free, of course, but is bound to be safe as long as lenders do not invest more than they can afford to lose. This is a general principle that should be applied to all investment decisions, regardless of the currency or method being used. Before you decide to become a borrower or loaner of cryptocurrency, let’s take a look at the pros and cons of doing so. Setting up a lender account on an exchange of crypto lending platform is generally easy, and should only take a couple of minutes, thus making it a much quicker experience then setting up a bank account, or looking for alternative methods. Users are not required to actively keep a close eye on their funds, and how they are being lent out. Better said, no fast actions are required by crypto lenders, unlike day traders. The risk mostly stays with the borrower. Therefore, if they short the price, and it ends up increasing, it will be their loss, rather than yours. Additionally, lending is relatively safe, yet it is recommended that small amounts are lent out, rather than life-changing amounts. Exchanges have been hacked before, therefore it’s essential to look for a reputable platform, and never lend more than you can afford to lose. Automation is king. Most platforms have methods of ensuring that the funds and interest rates are automatically paid back to you. In other words, this means that it is indeed possible (but not recommended), for users to set up the lending account, and then let it run automatically forever. With margin lending, you are not lending a specific individual, but rather contributing funds towards a lending pool that margin traders have access to. The story is different when considering peer-to-peer (P2P) lending platforms. Risk is generally low, but things CAN go wrong. Additionally, consider keeping in mind the fact that you are dealing with a market that lacks regulatory consensus. Therefore, if applicable, legal matters will be treated differently depending on your location, and the jurisdiction that the lending platform follows. Banks, however, are governed by the jurisdiction of the country their offices are located in. This can make legal matters a bit unpleasant. Some platforms tend to charge high commission rates out of the interest rates being paid by borrowers. Additionally, interest rates are set daily, and not over the full course of a loan. This means that your daily profit is never guaranteed. Considering everything that has been outlined so far, making a profit is surely possible. However, there are a couple of aspects that need to be kept in mind, to further increase profit margins, while also reducing risks. For instance, it is recommended that you do not lend at bottom rates and for long time-frames. This will put your funds on hold, and if bigger opportunities arise, you will be missing out. In other words, most lenders wish to lend out their crypto via a long duration contract for a premium price, and such opportunities will arrive granted patience is practiced. This is the current trend, as funding long term contracts for a low price can be a bad decision, given the fact that rates often spike, thus leading to lenders missing out. Spreading your loans is also recommended. Lending out all of your cryptocurrency at a single rate can work, but it increases risks and lowers chances for higher profits. By dividing loans into blocks and lending them out at higher prices, and at different moments, lenders can further increase their profit margins. Last but not least, one of the most essential tips would be carrying out your due diligence. This means that as a lender, you are responsible with carefully assessing the market, reading the terms and conditions, understanding the risks, following reviews and insights posted by other lenders and more. In return, this will increase your understanding of how the crypto lending market works, while also efficiently increasing your profit. Based on everything that has been outlined so far, lending bitcoin and other digital currencies can be an easy way of earning some passive income, granted that it doesn’t require too much time, or fast decisions. 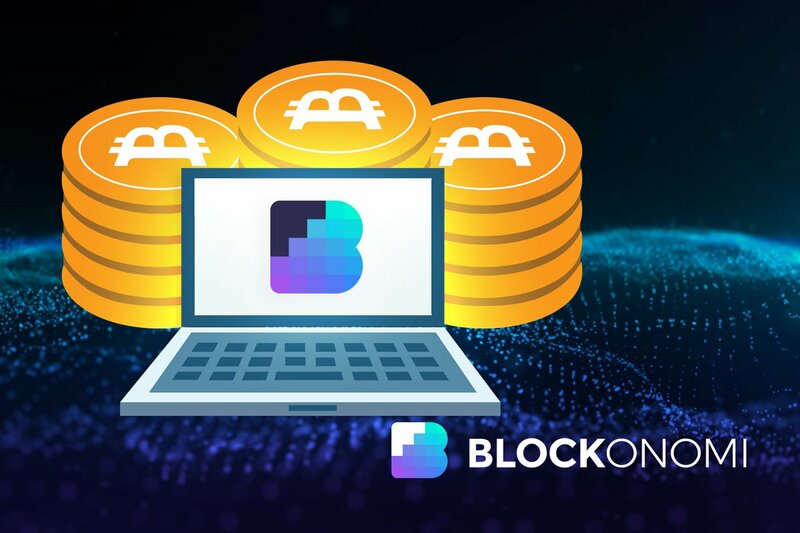 It is also a popular alternative for people who are interested in crypto and trading, yet do not have enough time for running a profitable day trading practice.